Seafood is popular – it’s promoted as having health and diet benefits and tastes great too. On average, each person in the U.S. ate about 15 pounds of fish last year. With the U.S. population estimated at around 309 million and continuing to grow, we’re looking for a lot of fish to feed our seafood appetite. Where does it all come from? According to government information, more than 90% of the fish eaten in the U.S. is from somewhere else. This means most of the fish on our plates traveled long distances to get there. With more and more people wanting to eat local, figuring out how to provide consumers with fish from the U.S. is a hot topic. As a solution to reduce reliance on imports and increase domestic seafood supply, the federal government, for many years, has been pushing expansion of ocean fish farms – growing fin fish in giant floating cages in open ocean waters. 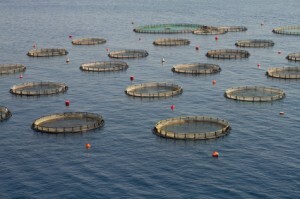 Unfortunately, the global experience with ocean fin fish farming has been troubled – with millions of farmed fish escaping into the wild, changes in marine wildlife behavior near farms and financial problems, with farms closing or declaring bankruptcy despite millions in grants and other assistance. In particular, there have been conflicts with traditional fishermen. 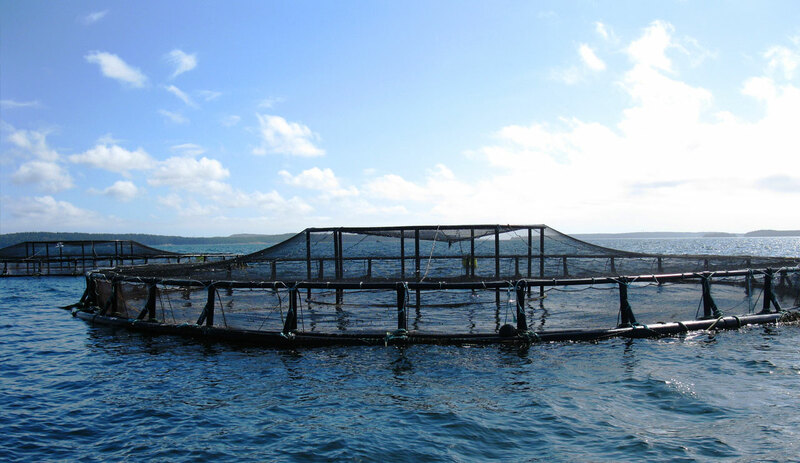 Ocean farms can lower prices by flooding the market with similar fish caught and sold locally, and some grow non-native fish that cause ecological disruption when they escape and change wild fish populations. Additionally, many of the fish raised in ocean farms are carnivorous – they eat other fish – so they require high protein diets that often include small wild fish taken from the sea by the millions of pounds. These small fish are a primary food source for marine wildlife – dolphins, birds and larger fish – and are also critical in the diets of coastal communities worldwide. Taking literally over a billion tons annually of important wild fish to feed captive fish leaves less food for ocean wildlife and people that need it most. Our oceans are stressed by climate change, pollution, oil and gas exploration, and many other uses. People and wildlife rely on our oceans for survival. So rather than burden the oceans with another industrial use that can conflict with existing users and even hurt wild fish and their habitat, why not look to other more sustainable alternatives to boost domestic fish supply? We already have the technology. 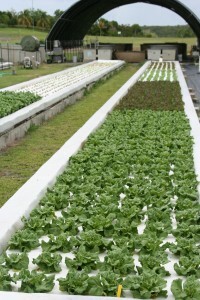 On-land recirculating aquaculture and aquaponics (growing plants and fish together in one joined system) can help provide more seafood for the U.S. in a way that is healthy for us and our planet. These farms are mostly closed loop – meaning it’s harder for parasites and other pollutants to get in, and escapes from the farm into the wild are unlikely. Recirculating farmers, scientists, entrepreneurs and others are constantly working to improve feed options for fish in these farms – moving away from using wild fish as food and toward healthy, natural and sustainable diets. And perhaps one of the biggest advantages – because these farms are self-contained and do not need to be located on or near natural water bodies for water supply or drainage, they can be built virtually anywhere. They can be in land-locked communities where fresh fish is scarce or in coastal towns where they can grow a wide range of seafood items that don’t compete with historic fishermen who catch and sell local fish. Fish grown in these farms can actually supplement our existing seafood supply rather than conflict with it. Want to help protect our oceans – tell our president that we don’t want ocean factory fish farms and that we do want local fresh fish (and fruits and vegetables too)!